The customer provides the fabric, our company is responsible for the design and production. 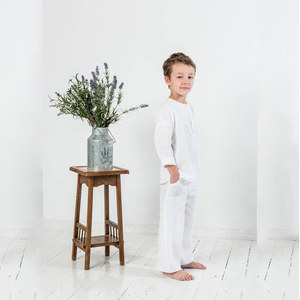 The customer provides clothing pattern, our company is responsible for providing fabric and production. Customers to inform the general style, We provide the existing samples to customer and to make. 3. We promise to rework or refund if you should find serious quality problems with our products. 1.What's the price9 Our price depends on your quantity, generally, the sample price is little higher than bulk, but we can sure that our products are high quality with a good price. 4.What's the date of delivery9 15-30 days in general, it depend on your quantity. Item Man gingham button down collar checks shirts mens casual plaids dress casual shirts Style Man gingham button down collar checks shirts mens casual plaids dress casual shirts Fabric BAMBOO COTTON MIX ,100% cotton,cotton polyester mix, linen/flax and so on,many designs in stock for customers choice Color (different colors can be choosed) Size S,M,L,XL,XXL,3XL,4XL. Packing Standard opp bag each,required pieces to each carton Price $4.5-8.8 FOB china port Sample 3 days arranging custom samples Sample cost will refund to customers if order confirmed Delivery 12-20days Payment T/T,L/C,Western Union,Money Gram Pictures 1.Man gingham button down collar checks shirts mens casual plaids dress casual shirts 2.Long sleeve, one chest pocket, round hem,button down collar man shirts Design Man denim casual shirts cotton washed long sleeve denim shirt for men Quality 1.Certification: ISO9001:2008, 2.10years experience of shirt manufacturing and processing, 3. 12-14 stitches/ inch 4.color fastness: 3-4 level, shrinkage&lt;3% 5.meet EU& US standards 6.professional QC group follow the whole process from fabric buying to bulk shipping Shipment 1). we ship by express, air, sea cargon, we cooperate with the shipping company, always can offer our customers the best shipping price Payment Bank Transfer (T/T), Western Union, Paypal and L/C 1) Accept samll quantity cutom orders like 50 pieces, 100pcs, 5pcs MOQ for the stock shirts 2) Various fabric suppliers,enough ready fabric designs for customer choice and always most competitive price 3) Fast delivery, reasonable price,high quality control 4) payment is flexible, T/T,Western Union,Paypal,L/C,Money Gram 5) Our professional designer offer you best advice, make your shirt always best for your market 6) 3-5days preparing the samples,15-20 for the production delivery 7) Most cheap shipping cost for air or sea cargo Be noted!!! &gt; Quality Control -- A inspection team with 40 people, help customer to check quality in the end of each process, and will inspect again after production before package. We start every product in factory first, then to off-line stores, finally online, so we are experienced and have full confidenct in every product line we posted on the websit. With developing of the company, we added more production lines in our factories at the beginning of the year, looking for more long-term business partners. Hebei Aiyi Garment Trade Co., Ltd.
Quanzhou walson (walsonclothes) original zhengtian which have 15year epenrice in manufacturing all kind of Men dress shirt ,plus size tshirt ,blouse,jacket men coat,men slim shirt ,men compression shirt We sell products to all the to contact us on Agent ,order,wholesale,retail,oem with custom tags. Item no. 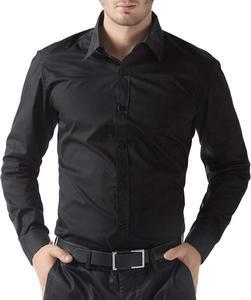 Men dress shirt ,plus size tshirt ,blouse,jacket men coat,men slim shirt ,men compression shirt Sample Available for oem order ,custom design take about 7 days to ready Payment By all security payment method. Escrow Packaging & Shipping 1PC 1 POLYBAG Size m-3l MOQ: NO MOQ DELIVERY TIME : After order in stock items in about 24 hours. 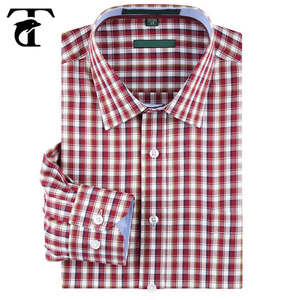 guangdong garment gold supplier oem slim fit gingham check shirts for men product details. packaging & shipping pack &shipping . 3. Welcome to visit our company website. 5. Welcome to contact with us at any time. Welcome to visit our factory. 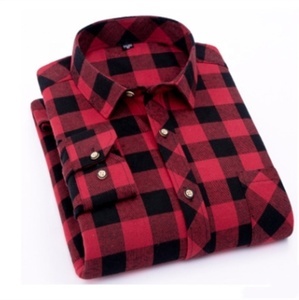 Western Men's Long Sleeves Fashion Slim Fit Gingham Check Casual Shirt 1.OEM Men's Casual Shirts 2.Small Orders Accepted 3.Logo and Brand Customized 4.Fabric and Designs Customized 5.Discount OUR BELIEF: Honesty+Professional+Warm Service+Competitive Price+Qualified Product=Long-term Cooperation Item Content Optional 1. 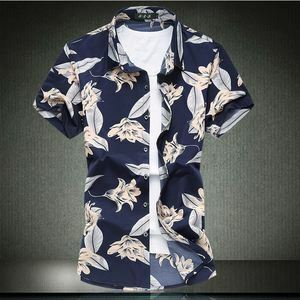 Product Name Men&rsquo;s Casual Shirt 2. Material cotton/polyester Can be customized 3. Size S-XXL European Standard or to be customized 4. Neck Collar or neck Collar or not, round or v-neck according to your request 5. Seam with/without seam According to your request 7. Color Many colors Standard color available. Based on your request 8. Logo Plain or with printing Can be customized 9.MOQ 200pcs/color/style, 100pieces more, 10cents/piece cheaper, above 600pieces, get the cheapest price with same quality 10.Packing One piece of a bag,100 piece for a box box size is :85*60*50cm weight about :30kg/box or based on your request 11.Price Term FOB Shenzhen China FOB, CIF. EXW, price offer depends on pp sample quality and design 12.Shipping Method By Sea or Air 13.Payment Terms T/T, Western Union, Money gram, 14.Sample Time 5-7 days after receipt of finalized artwork or original samples. proto sample is free, you only need to pay the express. Delivery time Within 20-25 days after the receiving of the payment. That is why our undershirts are comfortable to wear, soft, very warm and resistant. Are the products on stock9 Yes, they are on the stock whole year. b. send us your swatch & we make the fabric according to your quality. wait for your good news and cooperation! We also offer priority international courier service which only takes 1-3days. , you can choose any style you want to show your own styles. 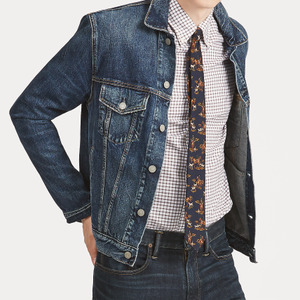 Skilled tailors are responsible for all process of making to ensure the men suit fit and We believe it is your best choice to cooperate withus for the custom Made To Measure suits and shirts . Product name gingham check men's poplin casual shirts with dip dye Gender men,gentlemen,boy Occasion casual occasion LOGO Your logo can be printed or embroidered on it Collar Technics/design spread collar,other collar like :square collar,lay-down collar,pointed collar,button-down collar,etc are possible. FIT slim fit,tailored fit,medium fit,trendy fit are all welcomed Material/fabric 100% cotton yarn dye poplin fabric Notice Above prices only are for reference , Please contact us directly for more prices. Washing 1.Don't bleach 2.Low Iron if needed 3.Don't not tumble dry 4.Hand wash best Payment T/T,L/C,Escrow,West Union,paypal,Etc 30%advanced,70%balance before shipping Shipping By sea, by air, by DHL/UPS/TNT etc. 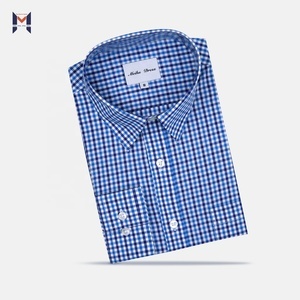 we can make all kind of shirts, including dress shirts and casual shirts. to make sure latest fabrics, styles are available. Some new custom fabrics will be more than 500 pcs per color and design . for the color ,we can dye any pantone No. if you have strict request on fabric color . FYM-337 Descripition Our Company is Specialized in producing all kinds of garment. And our company welcome your visit. Wish that we can know each other better, and work together in the near future. , you can choose any style you want to show your own styles. 3. We package your orders meticulously and ship them to you at the address provided. We encourage you to give us a sample if you want us to replicate it. 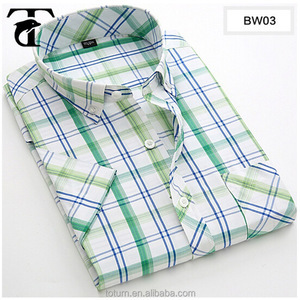 Alibaba.com offers 1,695 gingham shirt products. About 22% of these are plus size shirts & blouses, 21% are men's shirts, and 1% are men's t-shirts. 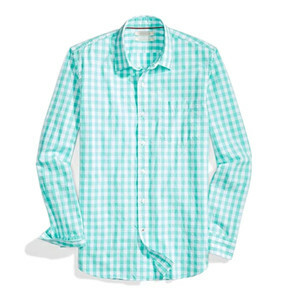 A wide variety of gingham shirt options are available to you, such as anti-wrinkle, breathable, and plus size. You can also choose from woolen, chiffon. As well as from oem service, in-stock items. And whether gingham shirt is free samples, or paid samples. 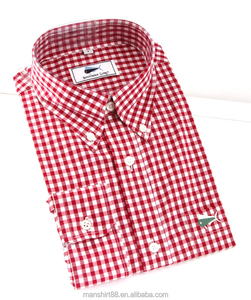 There are 1,687 gingham shirt suppliers, mainly located in Asia. 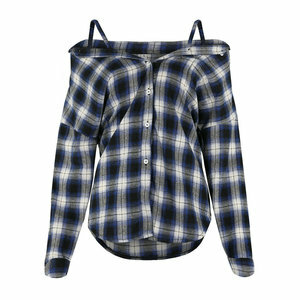 The top supplying countries are China (Mainland), India, and Taiwan, which supply 87%, 9%, and 1% of gingham shirt respectively. 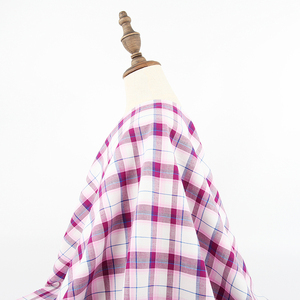 Gingham shirt products are most popular in North America, Western Europe, and South America. You can ensure product safety by selecting from certified suppliers, including 474 with Other, 180 with ISO9001, and 105 with ISO14001 certification.